EVANGELICAL poverty embraced for the sake of the mission entrusted to us by Christ – “Go therefore and make disciples of all nations” (Matthew 28:19) – was an integral element of St Dominic’s vision for the Order of Preachers. He recognised that if we are to preach the Gospel, if we want people to listen to the message of the Christ who – though rich – became poor for our sake, it is counter-productive to arrive in the local village on a huge white destrier, wrapped in furs and surrounded by flunkies and servants. The moment such a man stepped onto his gilded soap-box, people would simply roll their eyes and walk away. So, St Dominic along with the small band of friars who had gathered around him, deliberately opted for a life of mendicancy – they were to be itinerant, begging preachers imitating the preaching Christ. Thus, like St Francis and the Franciscans who appeared on the scene at the same time, poverty was a constitutive element of the order’s beginnings. Unlike St Francis and the Franciscans, poverty was not embraced as an end in itself or to fulfil a deeply felt personal need. For St Dominic, poverty facilitated the mission; that was all. People will only listen to us if we are authentically poor, so poor we must be. While we no longer go door-to-door begging our daily bread, apostolic poverty remains a constitutive element of our lives for the same reason it was adopted in the first place – that people might be more receptive to the Gospel we preach. I have also found that evangelical poverty makes meal times much more interesting. During my postulancy in Adelaide the friars were the beneficiaries of the prodigious generosity of the local parishioners. On one occasion a family with a large number of persimmon trees gave us boxes and boxes of the delicious orange fruit. 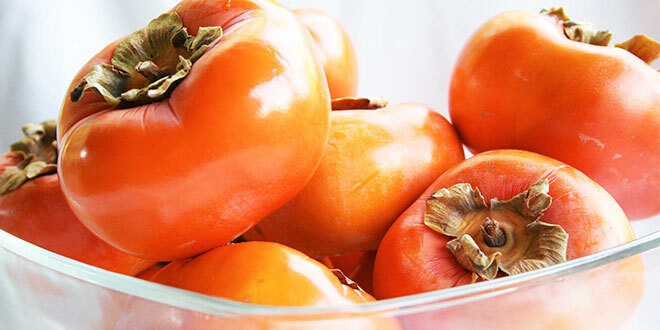 For a few weeks I had persimmon with my oats for breakfast, two persimmons for lunch and persimmon stew for dinner. Persimmon pie, persimmon loaf, persimmon chutney – by the end of the month I was experimenting with persimmon sandwiches. I cannot, in good conscience, recommend them. Another family in the parish owned a bakery. Every now and then the doorbell would ring on a Saturday evening and we would be presented with a cardboard box filled with whatever had not been sold that day. One friar in particular was rather a fan of the pies – I had never before seen joy writ quite so large upon a person’s face as he bit into the flaky pastry of that seldom-received delicacy. He beamed good will, as did all the friars gathered around the cardboard box like children at Christmas, making free and ready use of the tomato sauce as it was passed around. My adventures in poverty have continued here in Hong Kong during the novitiate. The Rule of St Augustine – the monastic regulation selected by St Dominic as the fundamental rule for the order – calls for us to “at least take no food between meals”. In a community of novices this proscription has the effect of focusing our minds upon the three cardinal hours of the day – breakfast, lunch and dinner. I am yet to see a sour face around the refectory; we are all simply grateful to be there and revel in the unexpected novelties that have appeared on the given day. Those novices whose duty it is to clean the fish on Friday morning take particular pride in pointing out which of the culprits arrayed on the dining table inflicted which war-wound as they battled with machete and cleaver to subdue their slippery foes. While cleaning the storage room a few months ago Br Basil – a kindly novice from mainland China – found a half-empty tin of stale biscuits, three days from their “used-by” date. When they appeared in the common room after dinner they were greeted like scotch fingers from heaven. We are all becoming much more easily pleased. A lived spirit of evangelical poverty is not simply beneficial for the mission – I have found that it also makes us more readily appreciate the gifts that we have been given. The “Amen” which resounds within the refectory following the Grace before meals undoubtedly competes with the “Great Amen” of the Mass as the clearest and loudest of the day. Usually there is at least one novice with the group who is able to act as the priory barber. We, however, are a sad and untalented bunch, lacking anyone with the requisite skill. That has not, however, prevented some of us from trying – if we were all to go outside for a haircut, however cheap, the cost would soon become burdensome for the community. So, many a novice has had a go at wielding the clippers and scissors that are kept in the laundry, with wildly varying degrees of success. I usually get Br Gabriel – from Myanmar – to cut my hair. He was initially reluctant, attempting to plead lack of skill and experience. I presented him with all manner of scriptural references highlighting how un-Christian it is to hide a light under a bushel or bury a talent. Under the weight of such compelling evidence, and persistence, he eventually relented. My response – “Not yet” – was clearly sufficiently encouraging for him to soldier on. And, as occasionally happened, if anyone subsequently asked me why a large clump of hair was missing from the right side of my head, I simply responded that it was the “mendicant look” and that “everyone” would be doing it before long. So, with reference to that line of Jesuit Cardinal Jean Daniélou quoted at the top of this letter, I am not merely “inclined” to practise the poverty of Christ – I have found that it is a source of great joy and endless entertainment. It lends a new perspective. In a society whose watchword is “more” the idea that “less” and “fewer” are at all enjoyable must sound like nonsense. I must be a crank. Thank God for that.